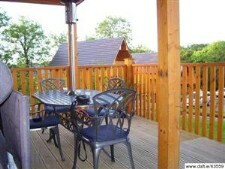 Three Scandinavian style lodges on the banks of the River Erne. Modern living in a rustic setting. 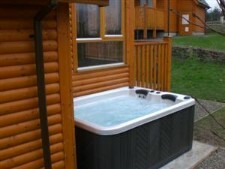 Outdoor hot-tubs, wood burning stoves, full al-fresco dining facilities. King beds, flat screen TVs. 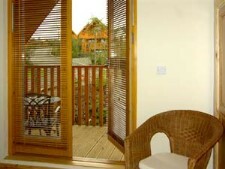 Master with ensuite & balcony. Double sofabed in living area. Prices do not include Bank Holiday periods. 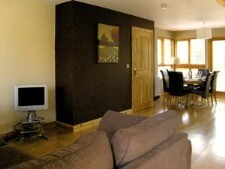 A weekend stay is any two night stay involving a Friday and/or Saturday night. All other lengths of stay are priced on an approximately pro-rata basis. All bookings are subject to a refundable €100 security deposit. This must be paid separately and in advance of your stay. 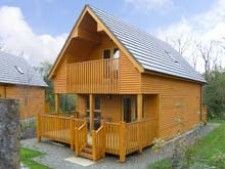 All lodges are an identical build and are equipped to the same standard. 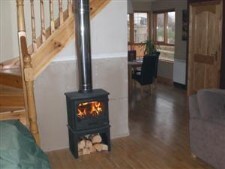 Actual furnishings in your chosen lodge may differ slightly to the pictures shown.